Choose a problem in one of the following areas and think of a creative solution! * Form a team! Talk to classmates about this exciting opportunity. 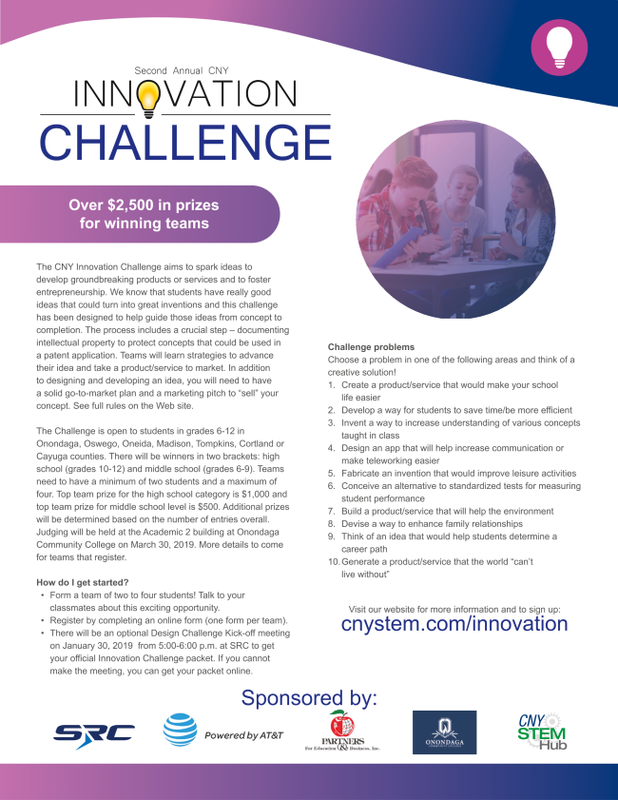 All students will need to have formed a team before they can participate in the challenge. Two to four people per team. Optional Kick Off Info Session on January 31, 4:30pm, at SRC, 7502 Round Pond Rd North Syracuse.